15PCS Stair Tread Carpet Mats Step Staircase Non Slip Mat Protection Cover Pads. Set of 15 Beautiful Carpet Stair Mats Stair Rugs Treads - LIMITED TIME OFFER! 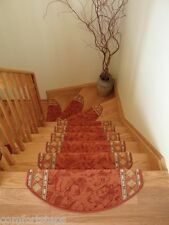 Set of 13 Beautiful Carpet Stair Mat Stair Treads - LIMITED TIME OFFER! 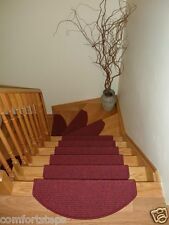 Set of 15 Beautiful Carpet Stair Mat Stair Treads. 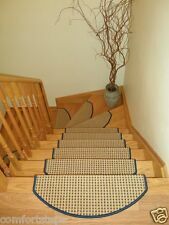 Stair Mats is an excellent alternative to stair runners and stair carpets and great opportunity to represent hardwood staircase in its most attractive outlook. These Stair Mats enhance stair safety with its fixed position on each step. Roppe Rubber Stair Treads are specifically designed for use. Roppe Rubber Stair Treads are made from specially. 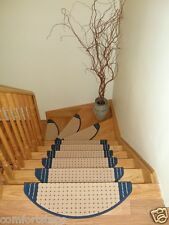 These resilient rubber stair treads are ideal for indoor use in. 48-1/4"X12-1/4"X1-9/16". 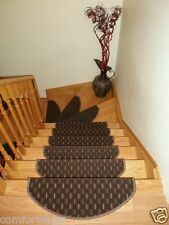 13 Step 9" X 30" + Landing 19" x 30" Stair Treads Staircase WOVEN WOOL CARPET. PREMIUM Stair Tread Mats Runners Set of 15 Oval Edge Carpet Gold 26"
PREMIUM Stair Tread Mats Runners Set of 15 Oval Edge Carpet Green Red Floral 26"